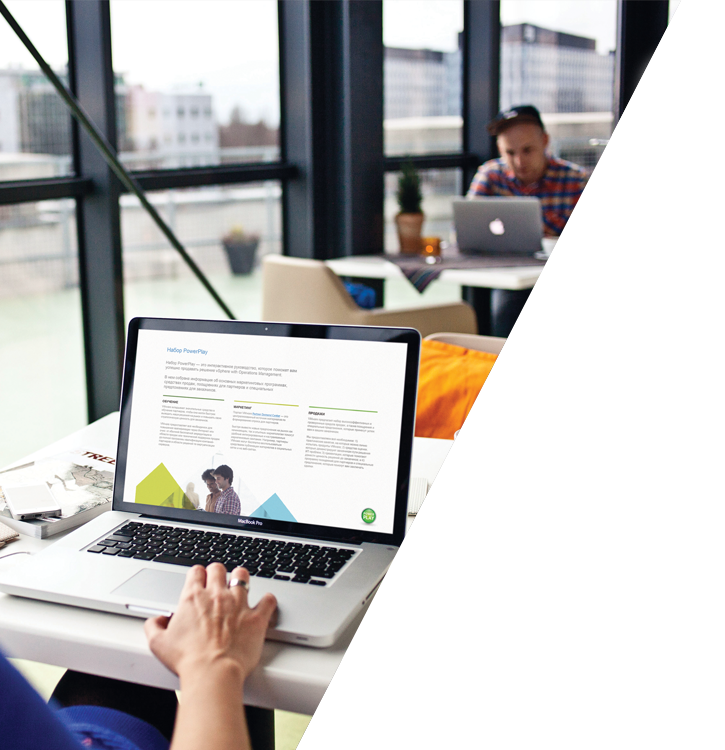 VMware is a leader in virtualization and cloud infrastructure solutions. 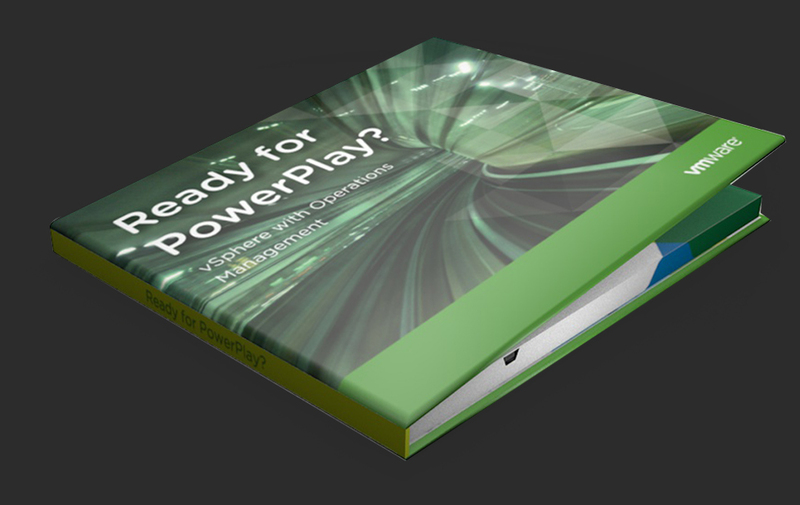 VMware required a creative campaign to promote its vSphere with Operations Management ‘PowerPlay’ product to 350 existing Partners across EMEA. 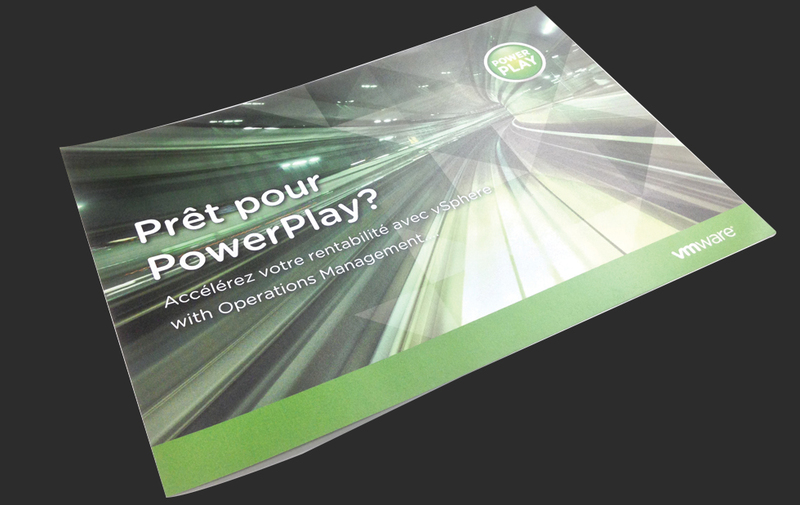 The objective was to educate and encourage partners to execute a campaign and increase sales. A campaign plan was developed around a combination of core touch-points to address the communication journey from initial awareness to education and execution. 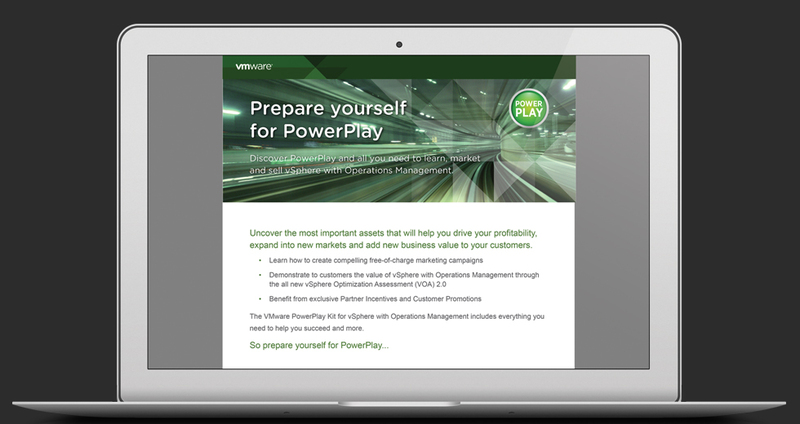 The campaign consisted of an email signature to promote a vSOM PowerPlay Kit, an email teaser to engage partners and a VideoBook containing the PowerPlay Kit. Each element was written, designed and produced in 6 languages including English, French, German, Spanish, Italian and Russian.